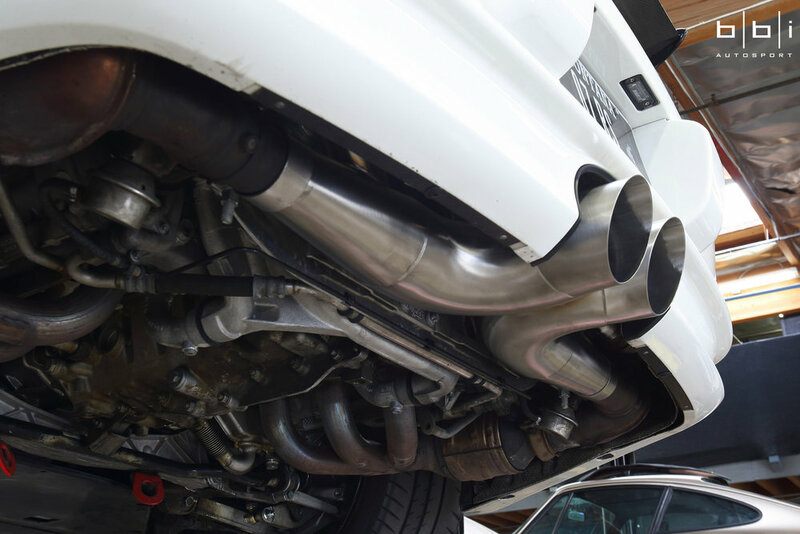 The BBi Autosport Porsche 997 GT3 Exhaust Center Section is a direct replacement for the secondary center muffler. For those who desire a slightly milder exhaust tune, this piece is a great alternative to our Cup-style Side Muffler Bypass Pipes. By retaining stock side mufflers and valves, the factory "sports button" feature is kept to conveniently switch back and forth between the aggressive "sport" mode during spirited driving sessions and the quieter, more civil "non-sport" mode for minimal noise on the highway. Click "Additional Info" for more photos and video. Please call or email BBi Autosport prior to placing an order. These units are in constant production with varying lead times due to demand.